In a bid to catch up, here is a quick summary of the 6 novels I’ve read in translation, all quite short but all punching well above their weight in terms of powerful, affecting stories. They also include 2 more stops (France & Greece) on my much neglected Around the World in 80 Books Reading Challenge hosted by Hard Book Habit. Given I’m such a Francophile, it came as a great surprise to me that I hadn’t yet visited France as part of #AW80Books so I’ve rectified the situation with Colette’s tale of infidelity and complex family dynamics over the course of a summer in a villa in France. Fanny is married to Farou, and awaits his return in a villa where she lives with her stepson Jean and companion Jane, with whom Jean is in love. Fanny subsequently comes to realise that Jane is one of Farou’s many extra-marital dalliances. It’s a slim novel (157 pages in my edition) and in a sense very little happens. What The Other One offers is a beautifully written, subtle exploration of the psychological complexities that exist between people who are inextricably bound up in one another’s lives, with all the love and pain that can entail. I’m overcompensating now by staying France, with Duras’ typical mix of autobiography and fiction, regarding her war experiences. At the start of La Douleur she writes that the work is based on diaries she discovered which she doesn’t remember writing. The six stories/diaries move back and forth across the period of the war and create the sense of a fragmented narrative which explores the desolation and destruction of war and the impossibility of telling a tale of such insurmountable human loss in only one way. I found it incredibly powerful. This is the story of a hen named Sprout. She decides she wants more from life than laying eggs to be taken away: she wants to live in the wild and raise a chick. The edition by Oneworld books also features lovely illustrations by Nomoco, worth seeking out. Another fable, and another lovely edition from Pushkin Press whose description explains that this is ‘one of Greece’s best loved stories.’ It tells of an indulgent arrogant king who takes his nation into ruin and the son and daughter who bring it back to prosperity under a policy of meaningful employment for the greater good. It’s also a militaristic tale – much emphasis on vanquishing enemies and building armies – but ultimately it is about social responsibility. I don’t think it’s a stretch to see it as deeply political: Delta’s father was a mayor who narrowly avoided execution, her diplomat lover was assassinated and she killed herself the day the Nazis reached Athens. A Tale Without a Name presents complex political ideas in a deceptively simple style. 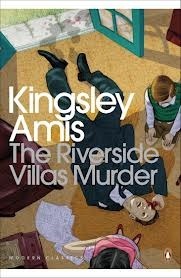 This novel caused me to deviate from a wholly WITMonth August, as I was so upset by it that I had to read a British Library Crime Classic to recover. I approached it wholly ignorant of the political turmoil that South Korea had experienced in the 1980s. Kang pitches us into the student uprising in Gwangju in 1980. It begins with a boy searching for the body of his friend amongst the piles of corpses that a brutal regime creates. Human Acts follows various people all connected to the uprising, and Kang absolutely does not pull her punches. What the piles of bodies mean in human terms is explored fully both in terms of the emotional ramifications and the hard reality of how to deal with so many bodies. It’s a novel that deals with extreme brutality in sensitive, subtle prose. The novel contains scenes of torture that are hard to bear, but never gratuitous. In the final part of the novel, Kang explains her own links to the story, and how this is not quite fiction. It’s astonishing that someone personally affected by the tragedy can write something so carefully constructed, but this is what she has achieved. The story is crafted but absolutely unflinching in looking at atrocities inflicted by governments and their devastating fallout. Finally, I’m a bit undecided about the Neapolitan quartet and feel slightly baffled as to why its garnered quite so much praise, but I did enjoy this novella from Ferrante and those who love the quartet will find much that is familiar here: a flawed female narrator, conflicts with loved ones, a sense of violence close to the surface. Leda takes a holiday alone in southern Italy. She is disturbed by a loud extended Neapolitan family and a certain event draws her into their sphere. During the course of the holiday she reflects on her life and the repercussions of the choices she has taken, on herself, her marriage and her daughters. Leda isn’t likeable but the narrative is compelling and pulls you along to deliver a short sharp shock.